The Axia SB3 is a three-movement-imaging table (up/down, lateral tilt and trendelenburg) intended to be used with mobile x-ray units and c-arms for minimally invasive procedures. This imaging table comes with standard 500lbs load rating, 2” patient pad for patient comfort, 24” wide top, locking swivel castors, a narrow base for easy patient transfer, simultaneous motion movements, and extremely low boarding height. 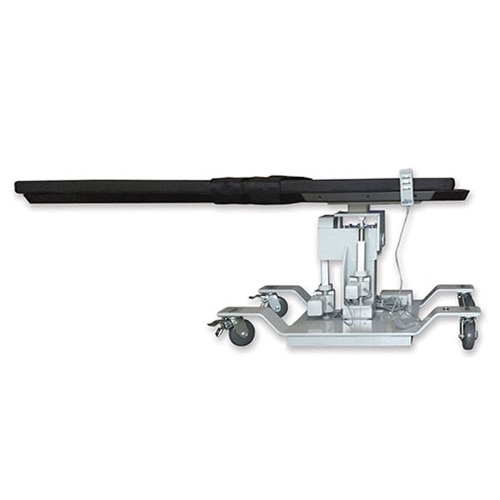 Axia SB3’ diving board style is designed for easy c-arm access. The tabletop material is made up of carbon fiber skin/foam core with an integral facial cut-out with a filler piece.